Oregon’s first producer of pinot noir, the Eyrie Vineyards, opens its library of ethereal wines to the public. DAVID LETT, founder of the Eyrie Vineyards, was known to many as “Papa Pinot”—in 1965, he and his wife, Diana Lett, planted the first pinot noir vine in the Willamette Valley. With his flowing beard, trademark red bandanna, and safari shirts, he certainly looked the grandfatherly part, but it was his wines that did the real talking, announcing to the world that Oregon was and is a very special place for growing and making pinot noir. 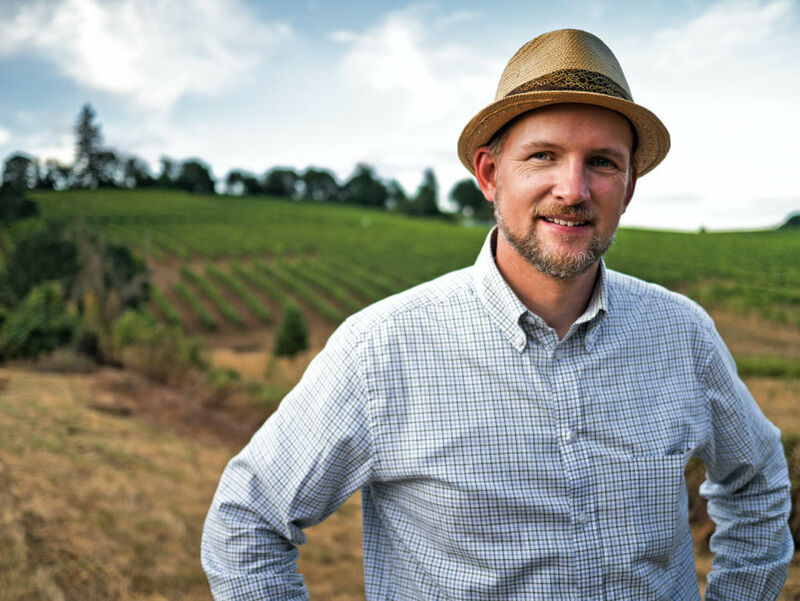 Although David passed away three years ago, he left not only his McMinnville winery and his Dundee vineyard (now in the capable hands of his son Jason Lett) but also an incredible stash of great wines that boasts more than 40 different vintages. Drinking these older vintages is like taking communion at a wine museum, and—lucky for us believers—the Lett family is now selling much of the Eyrie wine library at the vineyard’s tasting room. The most famous of the Eyrie Vineyards wines are made from fruit grown in the legendary “South Block,” a small section of the original Lett vineyard that dates to 1968. Even more exquisite than other, more recent Eyrie bottlings, which remain some of the better wine values in Oregon, these wines have never been sold to the public, as David had been reserving them for future generations. Marked by their light-red, almost transparent color—traits many novice wine drinkers mistakenly associate with a lack of body or a lack of flavor—Eyrie pinots are florally scented and intensely flavored. They are virtually transparent, almost gossamer-like, but full of red-berry flavors, layers of complexity, and an ethereal delicacy. As David himself observed during my first conversation with him over two decades ago, “with pinot noir wines, color and quality are inversely proportional.” With that in mind, enjoy these selections from Eyrie’s unparalleled library of Oregon wines.